Yesterday I went to a funeral of a childhood friends mum, I hadn’t seen her in a while but my friend reached out to me and I felt that I should go. Someone once said to me that funerals are for the living not for those who have died and it’s very true as I remember how much comfort my husband felt when his dads funeral was standing room only. It was a beautiful ceremony & the eulogy was a wonderful celebration of my friends mums life. I remember coming back from an event with my friend and her mum – my friend an I must have been about 15 years old at the time – and I was staying overnight (as I often did) with at my friends house. Their house was in the middle of the country and attached to a service station, which they owned and ran, which meant to enter the house you had to go around the back of the building where there were no street lights. 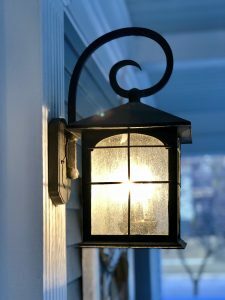 As we headed around the back my friends mum said “oh no we left the porch light on!” … well this seemed mightily sensible to me but apparently it was a huge problem and as we got closer to the porch I could see why!! There were hundreds of Daddy Long Legs flying in the porch !!! 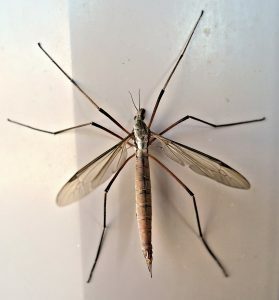 Now to say that I am not a great lover of any sort of bug would be an understatement and back then I could feel my legs go week and my pulse quicken … we had to go through the porch to get into the house … which meant through the tunnel of Daddy Long Legs!! I think I just has visibly paled, so much so that it was even apparent in the moonlight. My friends mum suggested that she open the door and I should just cover my head and run through very quickly and then run upstairs and hide under the bed covers. So I took a deep breath and did exactly that! Whilst I was hiding under the safety of a duvet my friend and her mum caught all of the Daddy Long Legs and released them into the wild. As I sat there hiding from the world I could hear my friend and her mum chatting and laughing as they caught the bugs and part of me wished I were brave enough to be there with them. Years later I have often thought of this event and how having courage can make all the difference … and also how when people don’t have courage we can still support them and help them to feel safe. That’s what my friends mum did … she didn’t judge me for not being brave, she didn’t laugh or condemn … she simply helped and supported. And it’s because of help and support like this that I have found courage when I have really needed it throughout my life…. although Daddy Long Legs still make me go weak at the knees I can at least be in the same room as one now!